If you happen to be in Evergreen, stop along the main street & poke through The Evergreen Gallery. The owner showcases many Colorado artists who make original work, now including mine! Also featured is my friend and ceramic artist, Kathleen Laurie, another member of the Colorado Potters Guild. Please check my web site, as I recently had the site updated. It’s about time! There are still things to be done, all in good time! My New Etsy Shop is Online! Please visit my shop, featuring my new Peace Sign Collection. 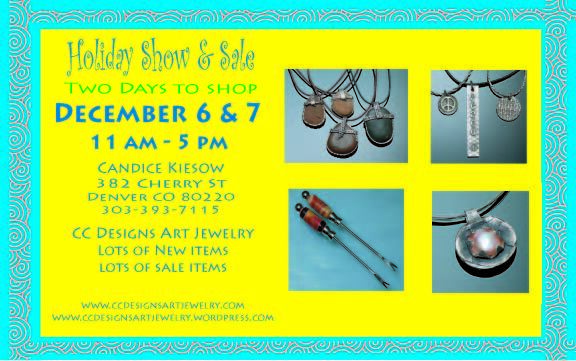 This weekend is my last show & sale. Please stop in to shop, browse, sip, visit & shop!